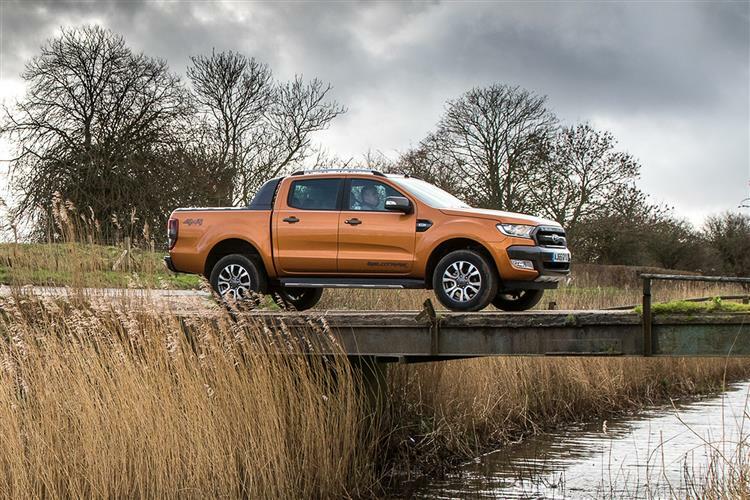 The much improved Ford Ranger pick-up is far more efficient, as well as being smarter and very media-savvy. Plus it's still tough and decent to drive for a vehicle of this kind. Jonathan Crouch investigates. 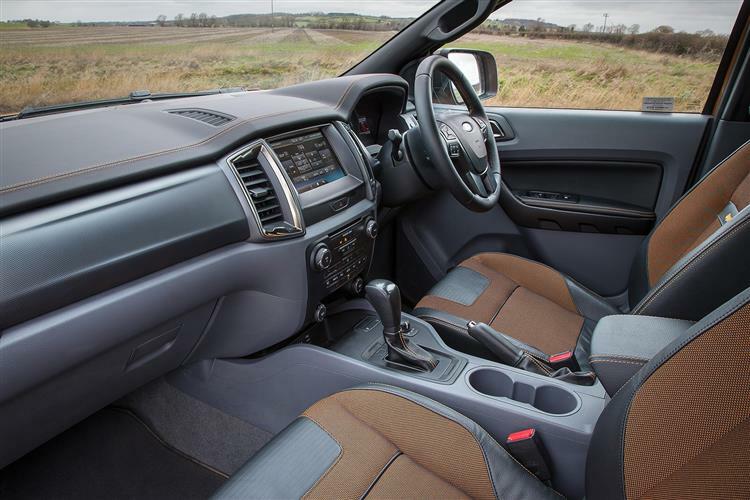 Potential business owners may well be approaching this Ranger thinking that sleek looks, a smarter more spacious cabin and class-leading driving dynamics are all very well but that they'd trade all of them for the practicality out back that this vehicle will need to earn its keep. 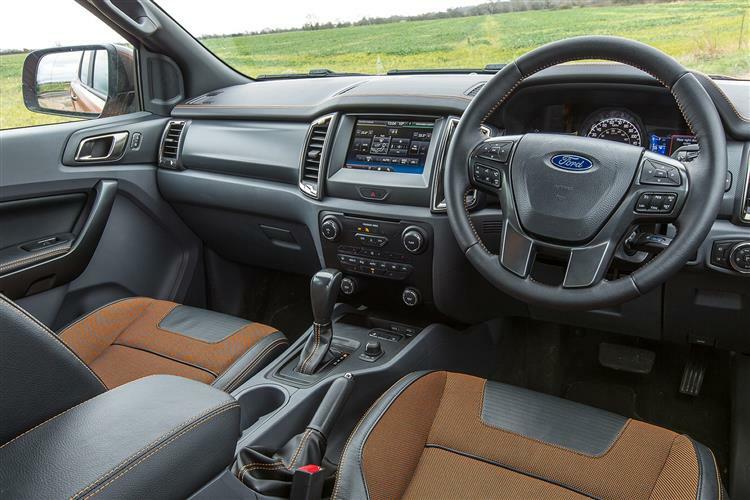 They don't have to, for thanks to big dimensions and a high beltline, this Ford's load-lugging stats are as good, if not better, than any other vehicle in its segment. The 'Regular Cab' and 'Super Cab' models offer, respectively, 1.82 and 1.45 cubic metres, while the Double Cab version is also more than competitive with 1.21 cubic metres. And running costs? Well the switch to 2.0-litre EcoBlue diesel power has usefully improved efficiency. The base 130PS variant manages 35.3mpg on the combined cycle and 209g/km of CO2. For the 170PS version, the figures are 34.0mpg and 216g/km. And for the 213PS Bi-turbo model, you're looking at 30.7mpg and 228g/km. Much more like it. 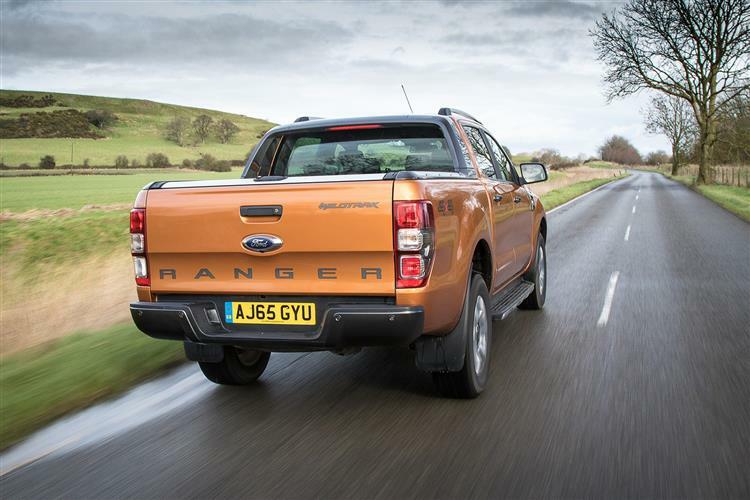 Running costs for the Ranger are helped by the 4WD/2WD system that allows off road users, once back on tarmac, to switch to two wheel drive - obviously the more fuel efficient option. 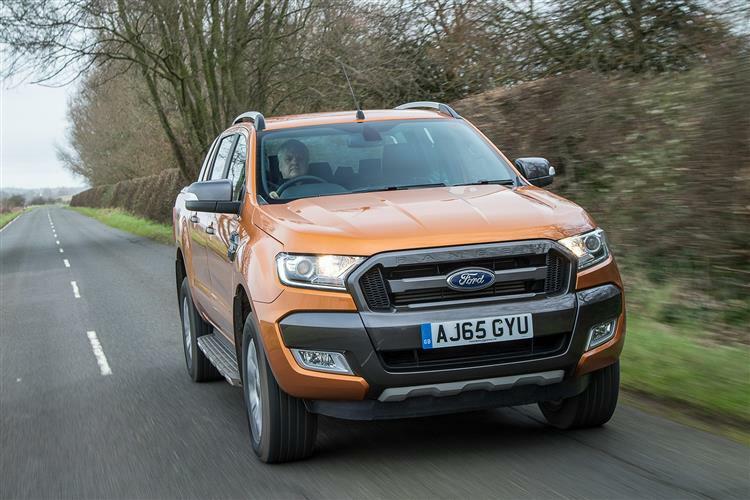 Pick-ups like this are never going to offer a slippery shape but even so, Ford have engineered a large car able to carry five adults and serious amounts of luggage, equipment or other heavy loads, that is relatively aerodynamic. 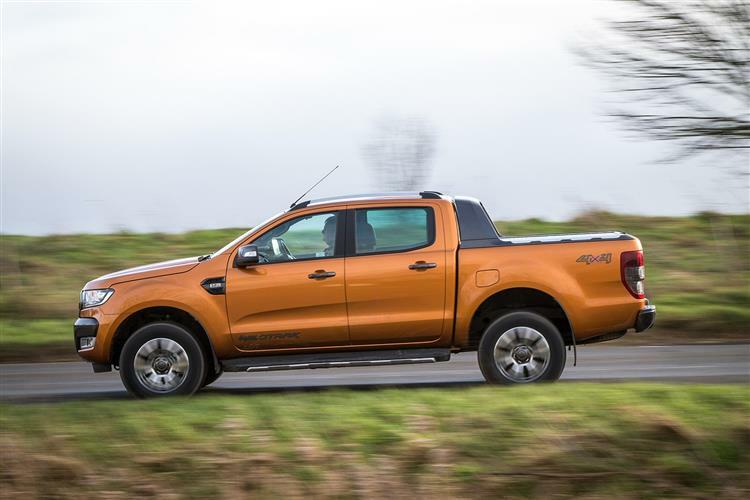 You can't deny that this revised Ranger is a thoroughly engineered product. 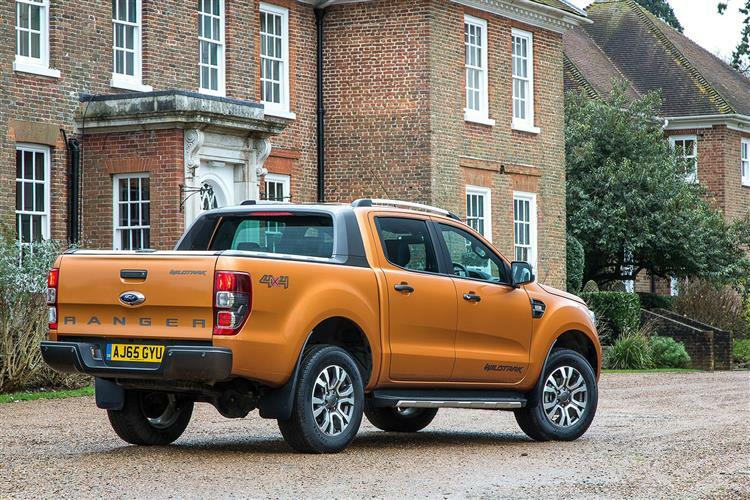 But is it the first Ford pick-up to truly approach market leadership? We think it might be. It's safe, spacious, clever, able to carry large loads and, in four cylinder guise, finally has an engine efficient enough to match or beat the competition. Whether the need is for active family weekends, or simply to carry workmates with their kit and tools, this rugged do-almost-anything automotive swiss army knife seems to have it covered. 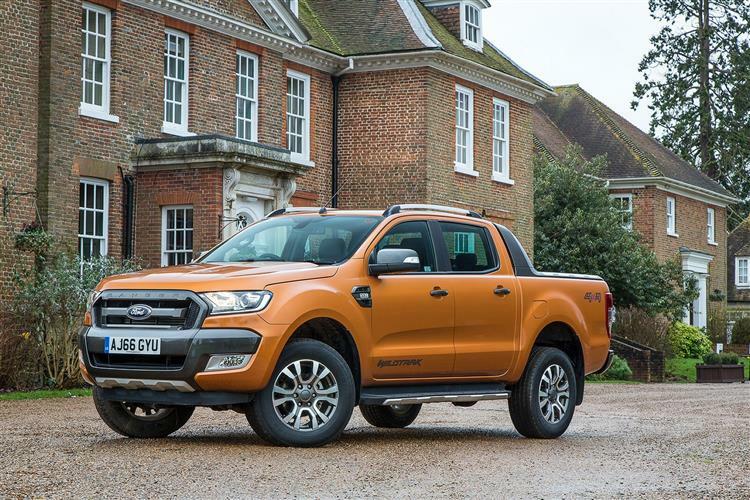 From the back streets of Bangkok to the logging trails of Liberia, you'll find Rangers earning their keep, but the key thing here isn't really this product's ruggedness: this Ford was always tough to break. It's the driving dynamics on offer. Maybe these aren't as car-like as the Blue Oval would like us to think, but they're very good for a vehicle of this kind, aided by technology that'll see Japanese competitors having to play catch-up. When it all comes down to it, the right tool can make child's play of men's work. 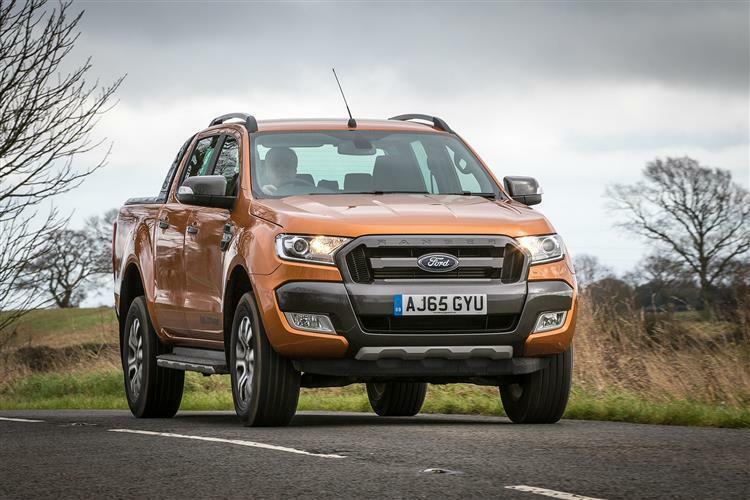 And if you're looking for one of the best all-round contenders in the pick-up sector right now, then this is the right tool. Job done.